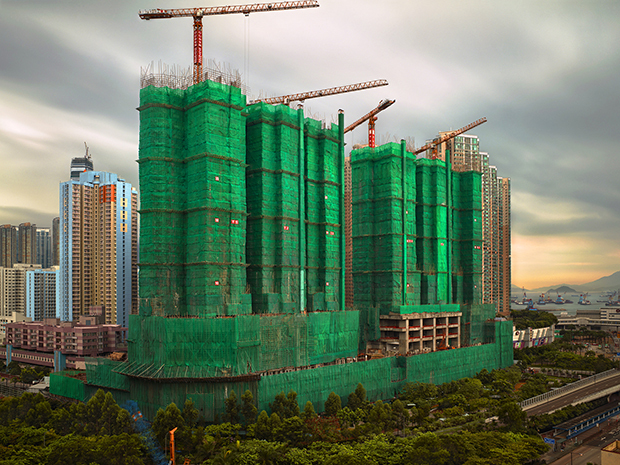 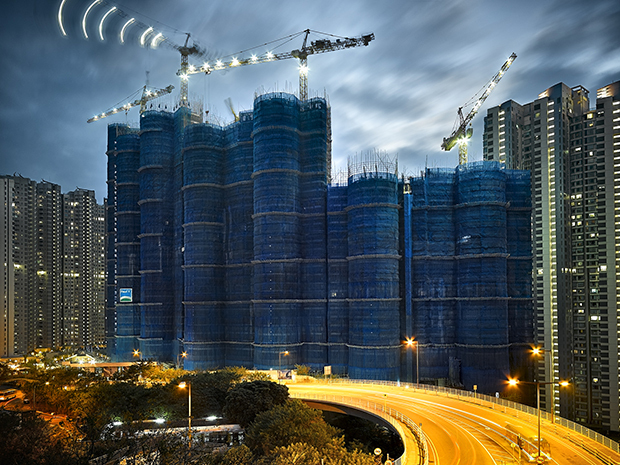 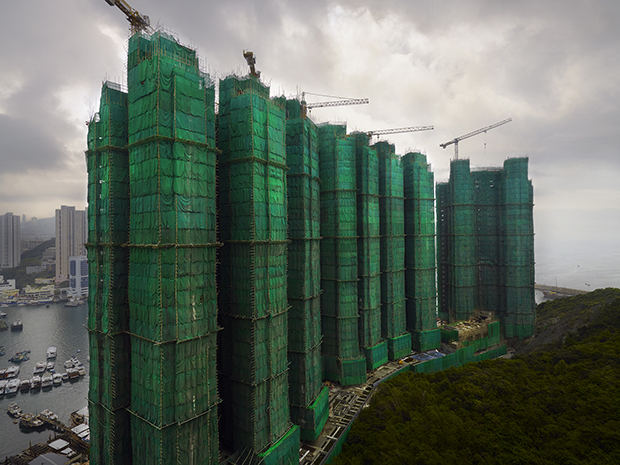 There is something simultaneously futuristic and ancient in photographer Peter Steinhauer‘s dazzling photos of monolithic buildings under construction in Hong Kong. 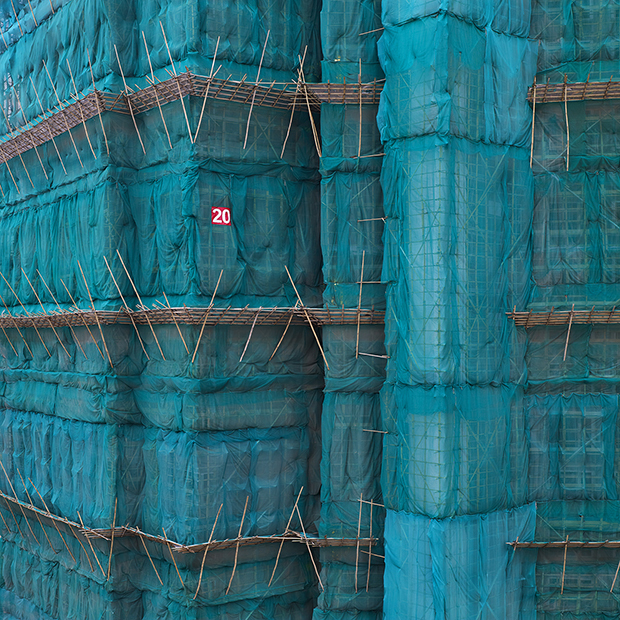 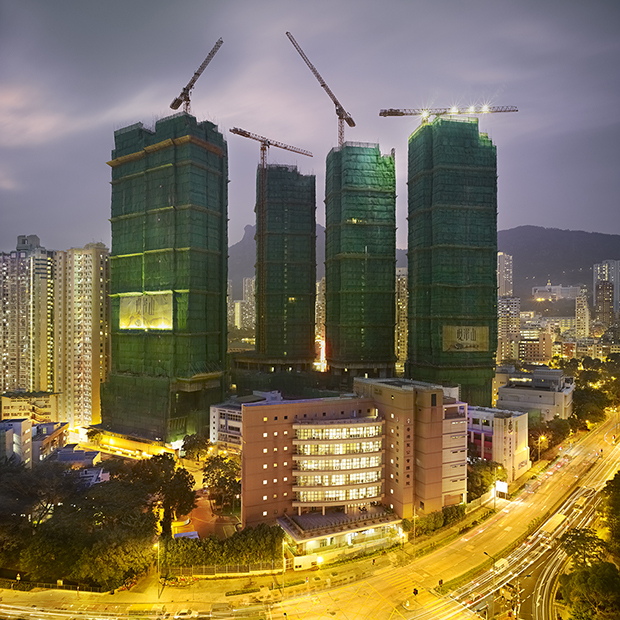 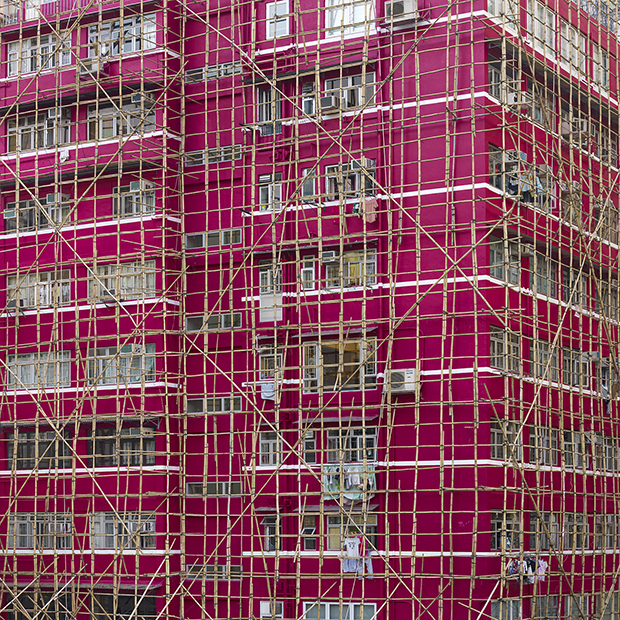 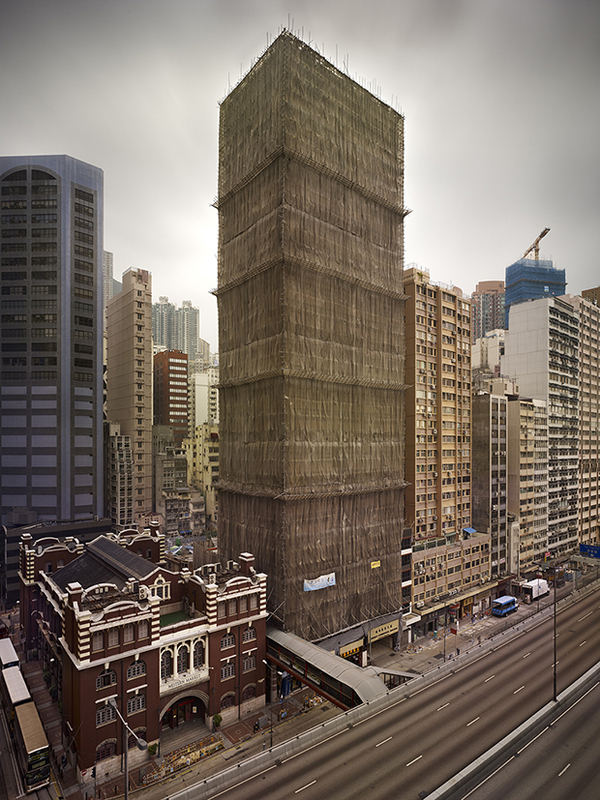 In his two Cocoons series, Steinhauer, who lived in Asia for near twenty years, beautifully captured the style of construction that is unique to Hong Kong in which the building is wrapped in silk fabric to prevent debris from falling onto the street and pedestrians below. 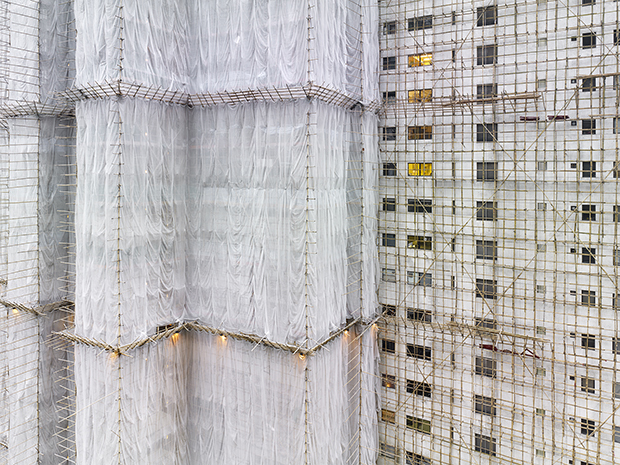 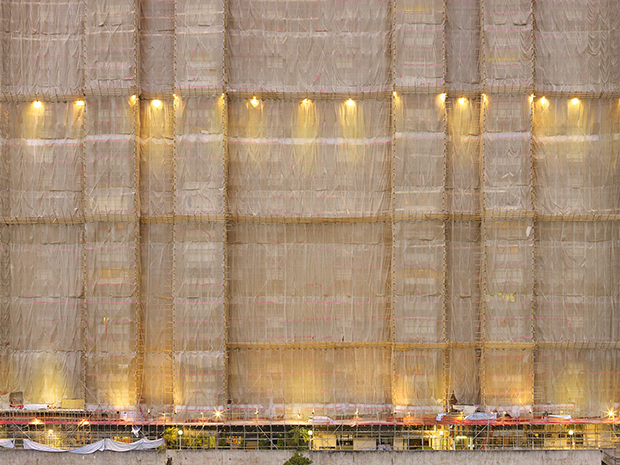 Steinhauer explained to me at Fotofest Houston that buildings are wrapped in silk regardless of whether the building is being built, being taken down, and regardless of whether it’s inhabited. 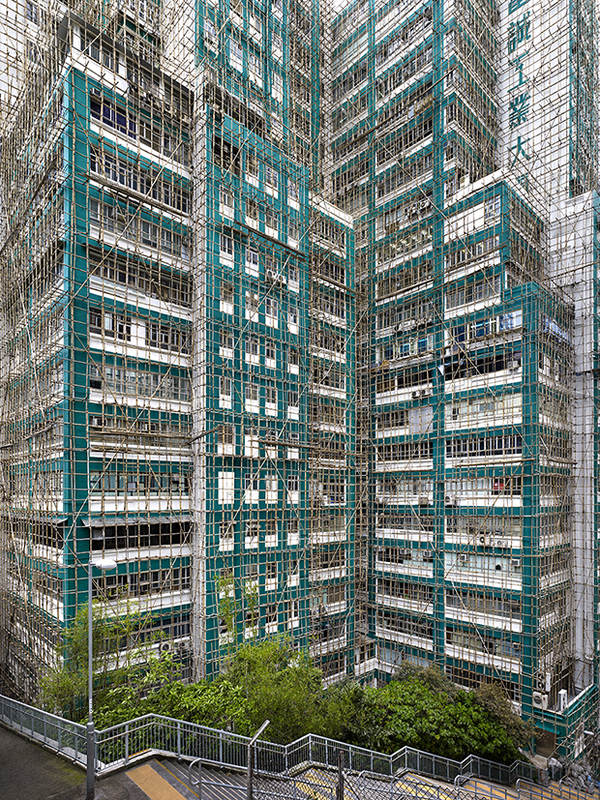 It is possible to have to live with silk-covered windows for as long as the construction on one of these enormous buildings lasts. 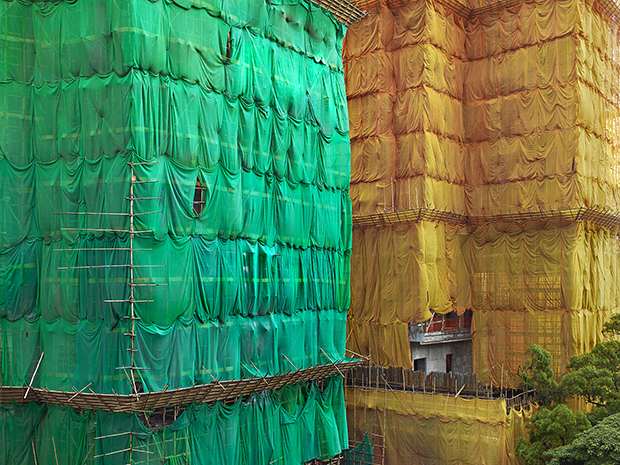 No one else anywhere in Asia uses this method of wrapping the buildings in this fashion, and it is understandable how Steinhauer, upon seeing this for the first time, thought it must be an installation by Christo. 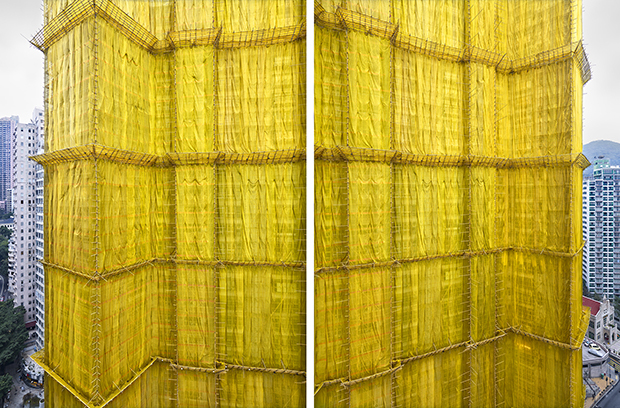 All photographs © Peter Steinhauer.